Girls worldwide are less likely to complete their education than boys. Girls are more likely to earn less, have poor health, and live in poverty. Girls are often overlooked in Ugandan society and are often less able to fulfill their potential. Boys are often given the priority within a family to go to school, if the family can afford to send a child to school at all, while the girls are often required to care for the family and look after the home. Our school sponsorship programme is enabling more children to attend school, many of whom are girls who would otherwise not have this opportunity. However girls also face another challenge when attending school. In Uganda, girls skip up to 20% of the school year simply because they cannot afford sanitary products when they menstruate. This of course has serious effects on the girls reaching their academic potential and bettering their lives. We have teamed up with AFRIpads to distribute reusable, washable, environmentally friendly sanitary products to the young women we work with. These products mean that girls are able to stop missing huge parts of their vital education just due to the natural fact of being a girl. 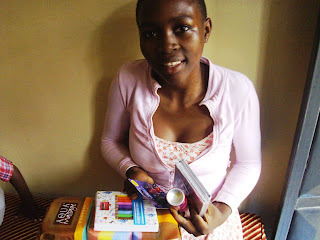 The girls are over the moon about receiving these products and we are determined to change even more girls’ lives in this simple way. 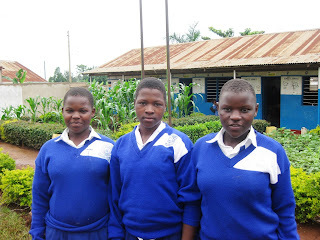 Uganda also has one of the highest rates of teenage pregnancy in the world. 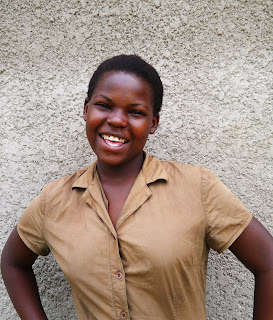 1 in 4 teenage girls in Uganda become pregnant before they are 19. This has disastrous effects on their future education, health and well-being. Through education we are supporting vulnerable girls, and are offering them a safe space to discuss ideas, ask difficult questions, and receive emotional support. 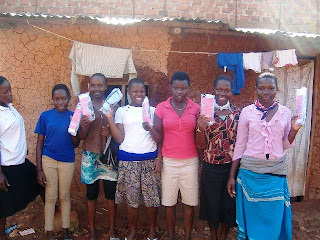 Through supporting their basic needs by supplying them with vital donations of sanitary pads and schools materials, we are opening up new opportunities for the vulnerable girls of Uganda.